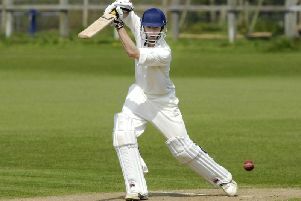 Harrison Wood claimed stunning figures of 8-26 but couldn't prevent Scarborough 2nds losing out at Londesborough Park. Park batted first and were all out for 170, Wood doing most of the damage for Scarborough with his stunning figures of 8-26. The away side's reply never really gathered any momentum and they were 138 all out despite Charlie Roberts' 41. Elsewhere in Ebor Division Two, Pickering Town 2nds beat Malton & Old Malton 2nds by 69 runs. L Welburn hit 35 as Pickering posted 150, B Crowe taking 5-46 in the process. T Croot then took superb figures of 3-5 as he teamed up with Andy Exton, 3-23, and K Boyes, 4-16, to help dismiss Malton for just 81. Easingwold dropped to fourth in the York League Premier Division after they lost at Driffield Town by four wickets. Paul Skilbeck top scored in the visitors’ total of 181 as Nicky Johnson picked up 4-25. Driffield's reply was a team effort with Luke Ramsey, 57, Ben Dobson, 37, and Damon Jenkinson, 36, all contributing to a successful run chase as Josh Sargent took 3-37. Pickering beat Bolton Percy by one wicket in a tense affair at Mill Lane. Isaac Christopher, 29 not out, and Hayden Jackson, 27 not out, were the Pikes' star men as they came together to rescue a seemingly lost cause. Michael Brown, 4-42, and Ryan Boyes, 3-35, had combined well earlier in the day to bowl out the visitors for 160 despite 56 from Joe White, but there was little indication at that stage of the late drama to come. Beverley Town were denied maximum points by York’s last wicket pair as the hosts finished on 200-9, Finlay Bean top scoring with 50 as Ian Jarvis, 37, and Kieron McAdam, 27 not out, helped secure their side a share of the points. That came in response the visitors’ total of 257-7 which included 65 from Olly Grantham and four others contributing scores over 30, Will Parker the highest with 47. Flixton leapt from sixth to second in Division One on the back of a nine wicket victory over Beverley Town as Chris Mann, 4-20, and Harry Walmsley, 4-25, combined to bowl out the home side for 100, 42 of which came from Will Harrison one of only two players to reach double figures in a disappointing batting display. The visitors then coasted to victory thanks to a half-century from Anthony Stones and 36 from former Cayton supremo Michael Dennis. 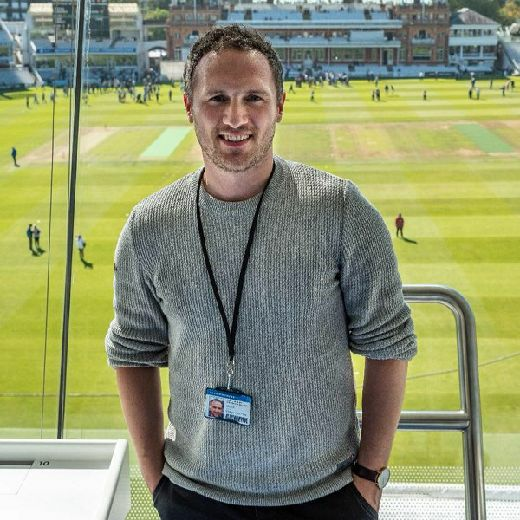 Matthew and Simon Webb both made half-centuries as Whitkirk scored 223-8 against Bridlington, David Tubby also contributing 42 while Simon Leeson returned figures of 4-36 for the visitors. There were three wickets each for Robert Flynn, 3-28, and James Malthouse, 3-22, as the visitors responded largely through Richard Lount, 56, but it was Michael O'Brien who finished with the best figures of 4-29 as the hosts completed a sixth straight win. Malton & Old Malton are up into to third after Neil Johnson, 74, helped secure a five wicket win at Hornsea. That came in response to 79 from Douglas Griebenhow, who scored almost half of the hosts’ total of 165 as Ryan Gaughan took 3-28. In addition to Johnson’s effort the visitors’ reply also included 28 from Stephen Linsley before Tom Harrison saw them over the line with an unbeaten 25. A century stand between Scott Cooper, 60, and Lewis Beasley, 43, helped Sewerby to reach 208-8 against Patrington. Buss then went on to top score with 35 for the visitors as they took a share of the points reaching 183-8 in reply Adrian Long, 3-35, with the best figures among the hosts bowling attack. The days’ most one sided game saw Osbaldwick take just a single point from their match against Pocklington. The hosts were bowled out for 106 with Connaire Brattan taking 4-24, and that was followed by 69 from Ted Donkin as the visitors reached their target for the loss of just one wicket.